German Shepherds are a breed of Dog specially bred for working in Germany, known as Deutscher Schaferhund. 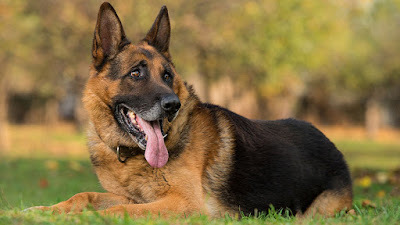 This history dates back to 1899, considering some breeds have history dating back to 300 BC , the German Shepherd can be considered a relatively new breed! They are referred to as the Alsatian in Britain and Ireland. During the 1800s in Europe, countries Belgium, Netherlands and Germany began developing a breed for home protection and sheep herding. These Dogs were named Continental Shepherd Dogs. First attempts to standardise the breed happened In the 1850s, of which should harbour skills traits such as intelligence, strength, speed and an excellent sense of smell. Alas, the appearances were not consistent and this resulted in the Belgium, Germany and Netherlands Shepherd Dogs to part ways in 1890. The need for sheep herding Dogs declined as Germany became more industrialised, however the versatility and smarts of these Canines were gaining popularity fast. 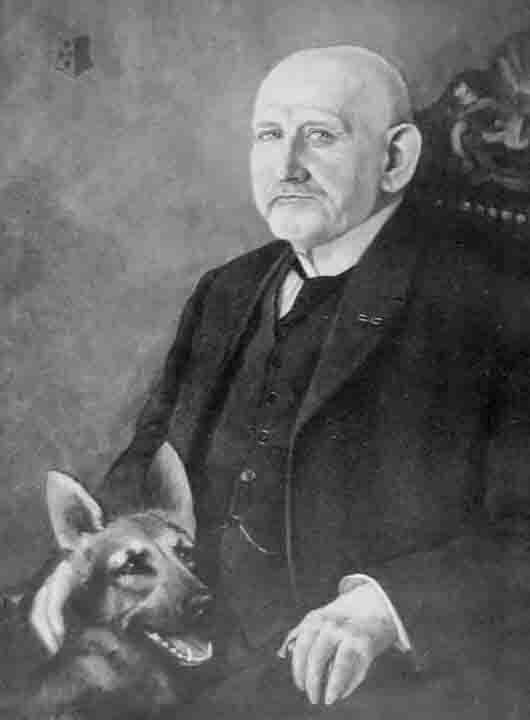 Max von Stephanitz, an ex-Calvary Captain and student of the Berlin Veterinary College was a man that firmly believed in Dogs bred specifically for work purposes. 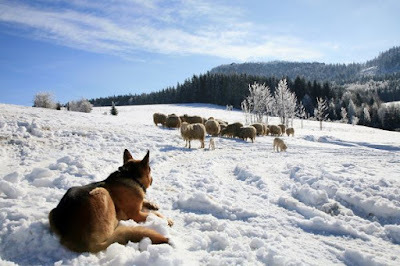 While he admired the Shepherd Dogs in Germany itself, he was still in pursuit for his ideal Shepherd Dog. 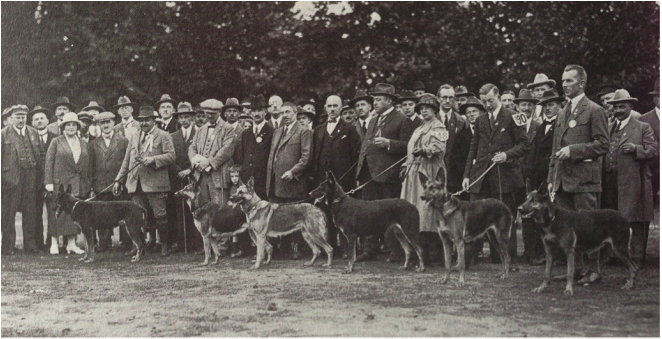 He bought Hektor Linksrhein, a German Shepherd bred through generations of selective breeding, at a Dog show he attended in 1899. Max von Stephanitz renamed Hektor to Horand von Grafrath, and founded Verein Fur Deutsche Schaferhunde (Society for the German Shepherds). Horand was the first German Shepherd Dog to be registered there, and he continued to father many offsprings. 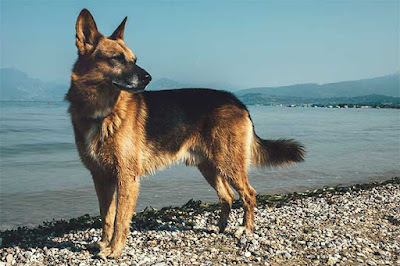 He is possibly the ancestor of the modern German Shepherds we see today! Fun Fact After World War I, including the word German in the breed’s name was thought to be bad for the Dogs’ reputation. Hence the name Alsatian Wolf Dog was given instead, derived from Alsace, a French region bordering Germany. This is a medium to large sized Dog with a short double coat. Long coats are also available, but are much rarer due to the recessive long coat genes. German Shepherds have squarish muzzles with strong jaws and bright brown eyes. Tall large ears should stand erect and facing the front, and tails are bushy. Colour combination include Red and Black, Tan and Black with the common markings are Saddle or Blanket. Rarer colouration are solid colours like All Black, all White, Sable and Blue. 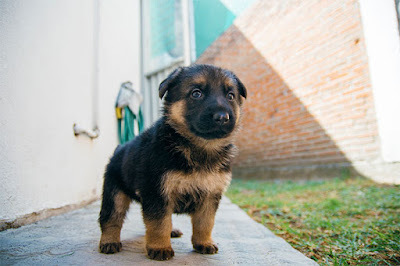 German Shepherd puppies do not usually have fully erected ears like an adult German Shepherd! German Shepherd Dogs shed throughout the year and every other day, so be prepared to brush them on a regular basis, at least twice a week. This prevents excess build-up of hair around the home and help accelerate the process by getting rid of loose hair. Bath them and trim their nails whenever necessary. And although their Ears do not attract debris, cleaning of ears with a Vet-approved Ear cleanser and cotton ball is still advised. If you do not know how to perform these tasks, seek advice and demonstrations from your trusted Veterinarian or Groomer! As a highly intelligent Dog breed, the German Shepherd Dog is 3rd amongst the most intelligent Dog breeds, ranked behind the Poodle and Border Collie! They thrive on learning new tasks and being helpful, plus they are also known to be very loyal and protective of their owners and family. Their alertness makes them excellent guard Dogs and may not be friendly towards strangers and babies. 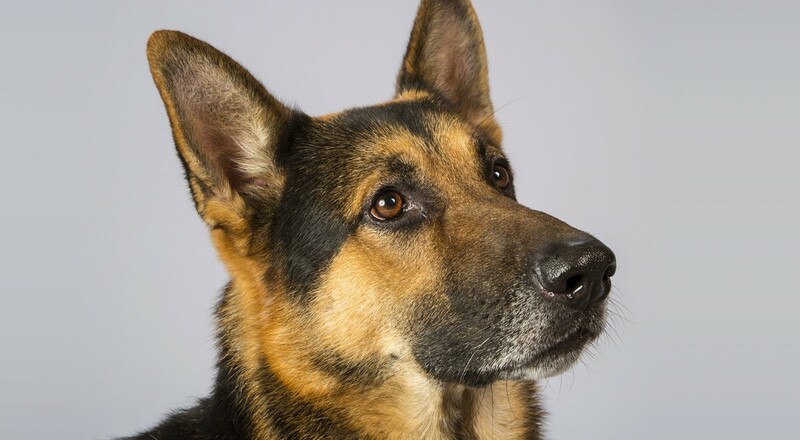 With sufficient training, a well behaved German Shepherd can be a safe, obedient and perfect companion. Their renown intelligence as a working Dog has proved to be of great compatibility in Police, Military, Search and Rescue, and even on screen! 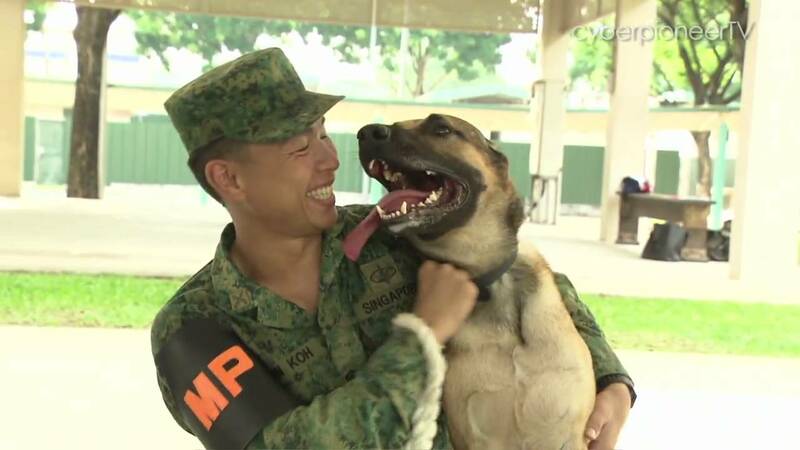 Well they are mostly in the Police or Military force’s K9 unit, and they are not permitted in HDB apartments. If you have a private property, that’s great news, the German Shepherd Dogs are adaptable to both indoor and outdoor living. But because they thrive so well under learning and working circumstances, it would be best if you bring them out for outdoor activities and teach them tricks, for mind and body stimulation.